Tornado debris from homes and cars are flung about after the storm passed through on Sunday, May 22, 2011 in Joplin, Missouri. President Obama returns from Europe this weekend and will immediately travel to tornado-stricken Joplin, Missouri on Sunday; he'll have just finished attending the Group of Eight summit in France. The White House says he'll talk with storm victims, according to Politico. 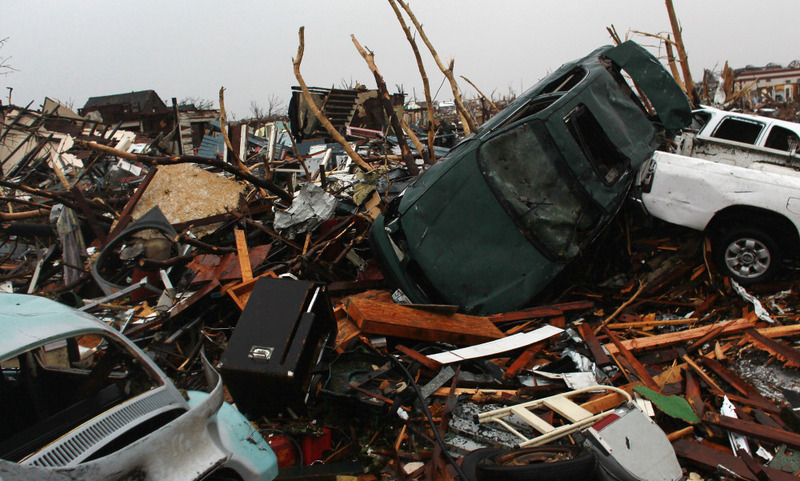 The AP says the Joplin death toll remains at 116. Search and rescue crews are still combing wreckage to try to find anybody alive after Sunday's devastating tornado. 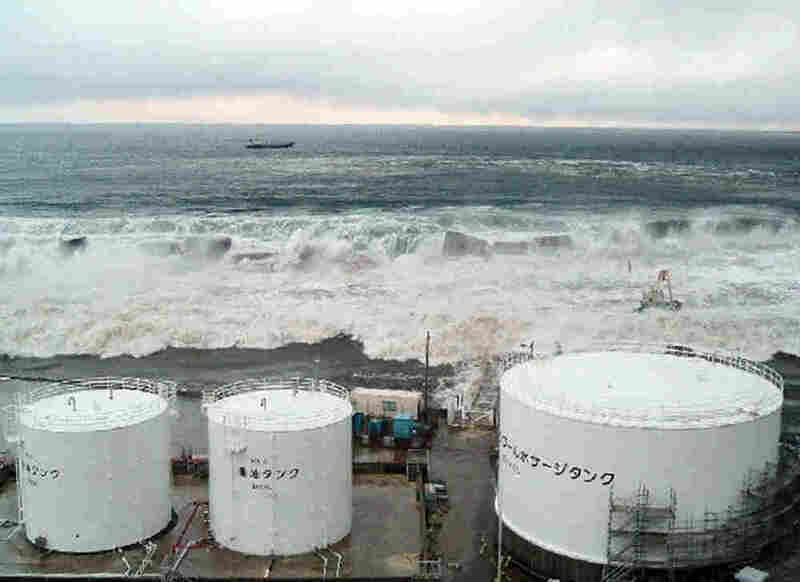 Kyodo News Agency says the nuclear disaster at the Fukushima Dai-Ichi complex was worse than thought, following March's Tohoku earthquake and tsunami. The plant operator believes nuclear fuel melted down in the Number Two and Number Three reactors, in addition to a previous meltdown in Number One reactor. The company says it believes the radioactive fuel remains cool inside the reactor containers. Chrysler will repay its $6 billion dollar debt to the U.S. government. Michigan Radio's Tracy Samilton tells Morning Edition the automaker is getting the cash from Italian automaker, Fiat, and new investment money. Most of the loans weren't due for another six years. The U.S. government will still own more than eight percent of Chrysler stock. It's hard to believe, but musician Bob Dylan is 70 today. Rolling Stone has a youthful cover photo and story of the singer, while retirement group AARP also got others to comment on the influence of the legendary artist. I am not making this up. The Los Angeles Times muses on 70 minutes of classic Dylan music.